With a scarcity of available coastal plots in Cornwall, Andy and Natasha Righelato jumped at the chance to buy a run-down 1960s chalet bungalow on Hawkes Point in St Ives. 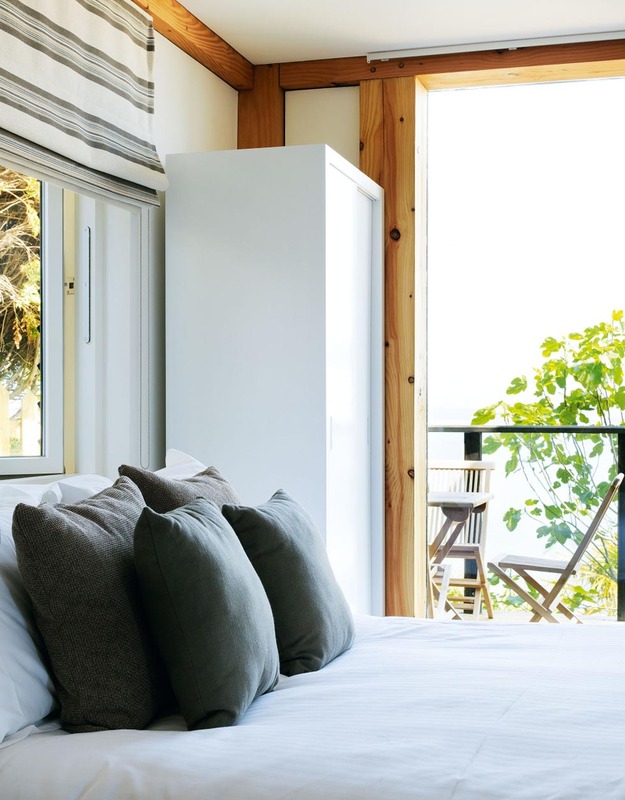 Positioned down a steep slope, with limited access and a lack of planning permission, buying was a risk, but the couple knew it would be the perfect seaside retreat away from their busy London lives. 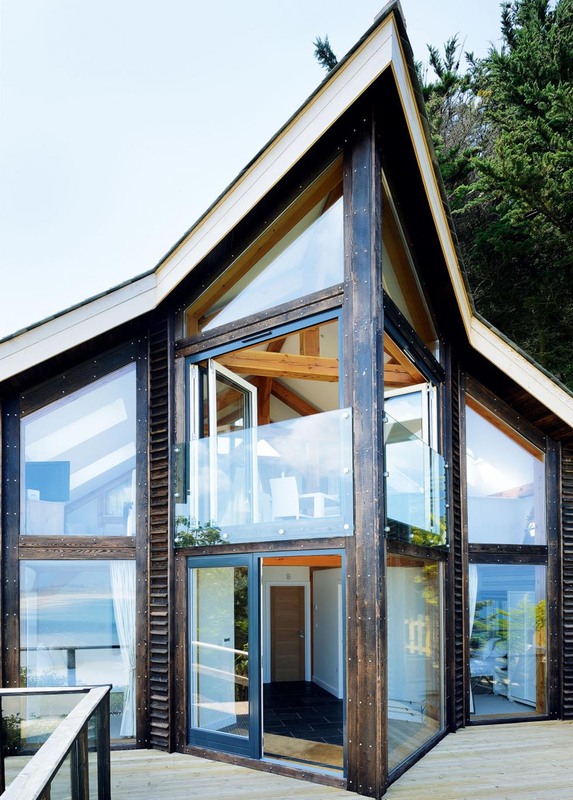 The chalet was uninhabitable, and refurbishment was not an option, so the only choice was to rebuild. Planning permission had been granted in the past, but the site had no current permissions. They knew proposing to replace the single storey bungalow with a two storey, two bedroom design would be contentious, but were fortunately granted permission. The successful design came from local architect, Chris Strike at RA Design. 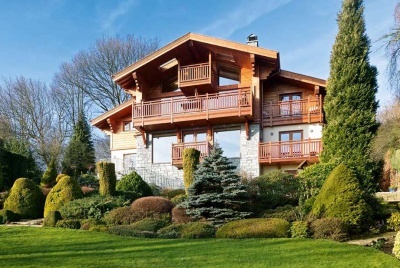 To make the most of the views, he designed a chalet style replacement home, with an open plan living area on the first floor and the bedrooms on the ground floor below. The living area has a dramatic 4.5m-high ceiling and glazed apex windows. 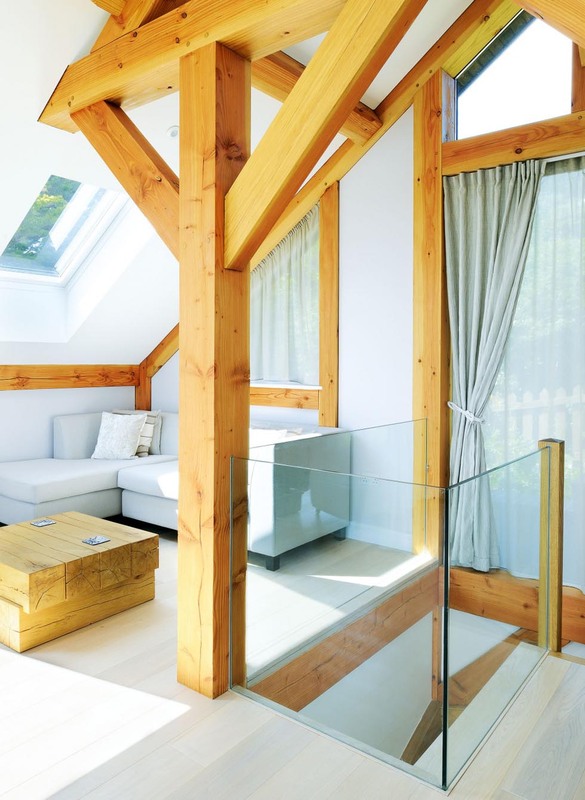 An internal balcony provides protected outdoor living, and floods the space with natural light. 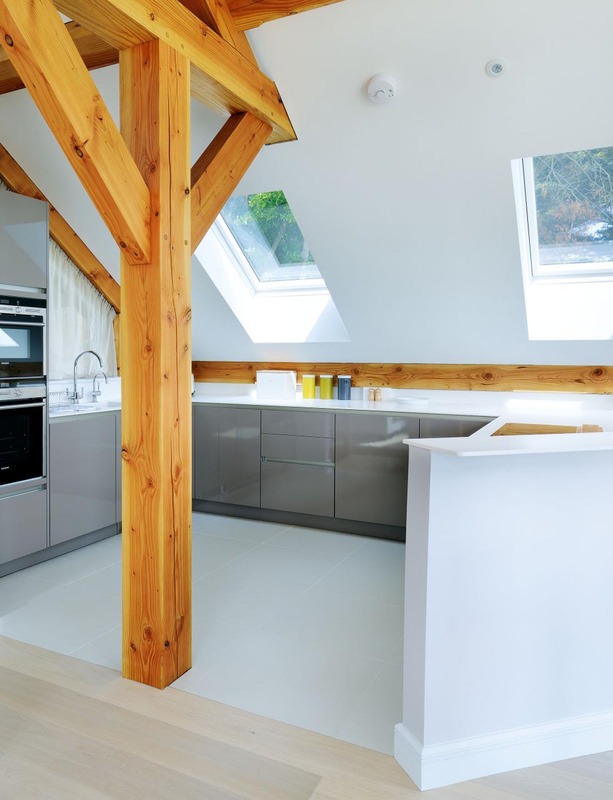 The interiors are sleek and contemporary, but the scheme works well to complement the exposed beams and use of natural materials. 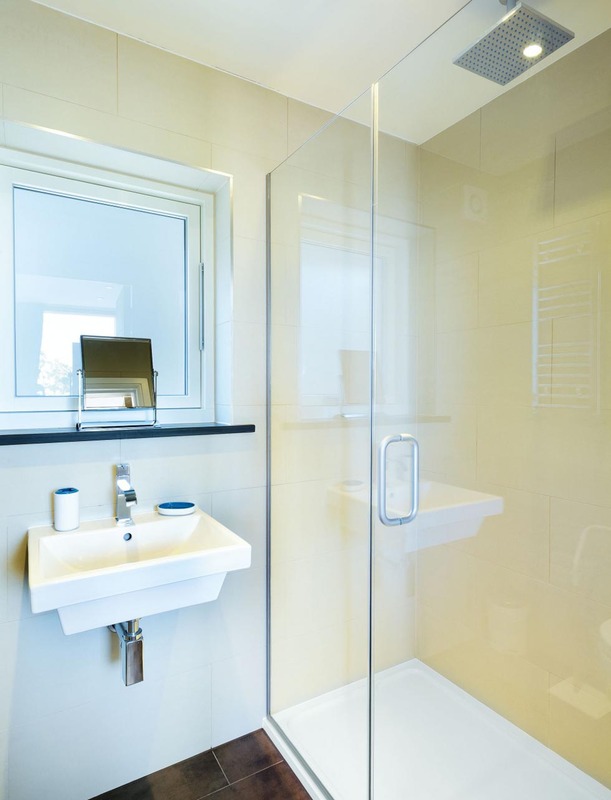 High specification features include a showpiece oak and glass staircase, bathrooms with rain-head showers, and immaculate white Corian kitchen worktops. 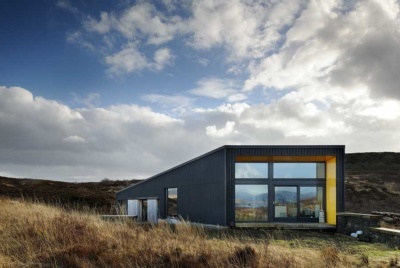 Outside, the external walls have been clad in burnt larch which blends well into the landscape and will do so more when it starts to weather. This, and the slate roof, helps to balance the large glazed areas for a sympathetically done, modern look. 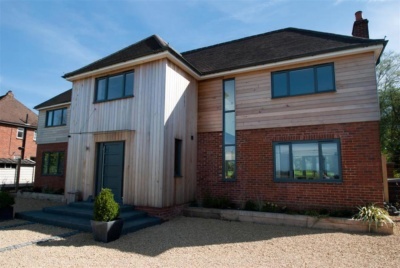 The cliff edge location meant mains gas was not an option so an air-source heat pump meets their heating demands. 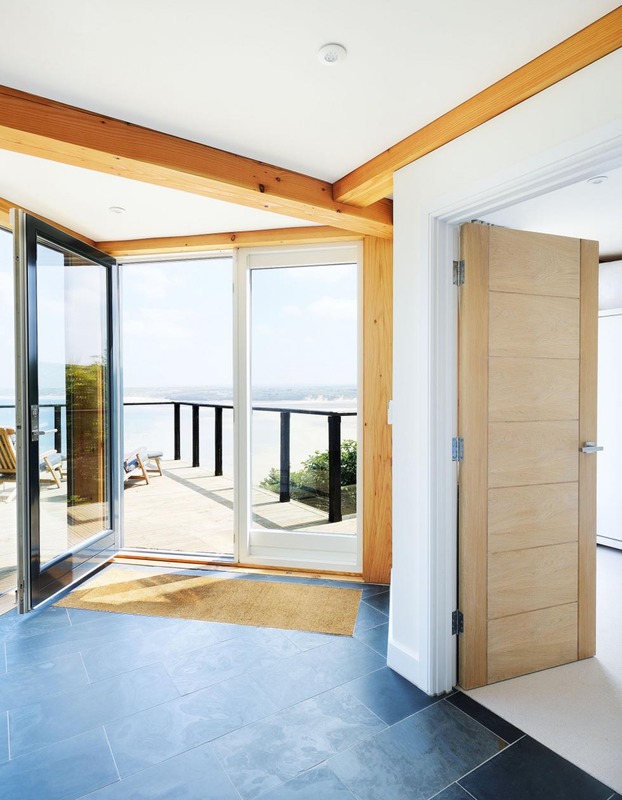 High quality Rationel windows with composite frames are well suited to the coastal environment and aid the thermal efficiency of the home. To limit their electricity demand, they have used LED lights throughout. Andy runs his own construction company, but as this is based 350 miles away in London, he employed local firm, Duchy Contracts, as the main contractor. Careful planning and communication was essential, and Andy stayed in constant contact, his experience allowing him to avoid potential problems. A major hurdle for the team was getting materials on to site. Not only is there a steep slope, but to access the site, you have to cross a small railway line. This prohibited crane access, so everything had to be transported onto site either by manual labour, or use of small machinery. To avoid accidents on the railway, the team made sure they knew the train timetables and planned crossings around this. If they had to move materials by plant, they made sure they had a spare plant and chains for breakdown recovery. 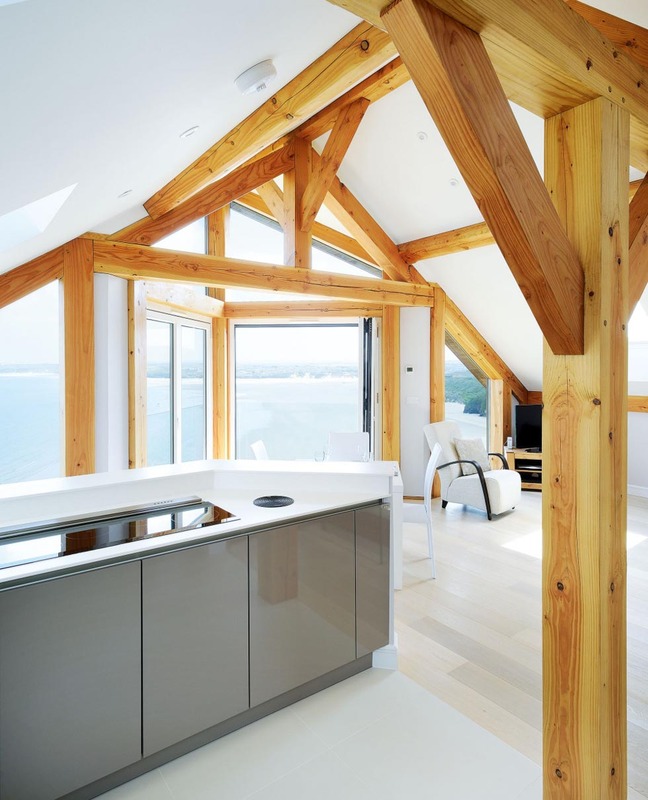 The Douglas fir timber frame was constructed off site, and then erected and filled with insulation on site. 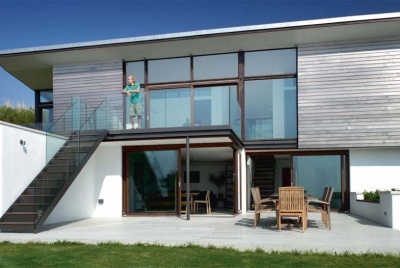 Precision design has resulted in an airtightness score of 1.49 (on a scale of 1–10, 1 being the highest). This building method – and Andy’s careful planning – meant the home was constructed in just four and a half months. Due to its construction, there is currently a planning restriction in place meaning it can only be used as a holiday home. However, they are looking to overturn this, and in the meantime the house is available to let. 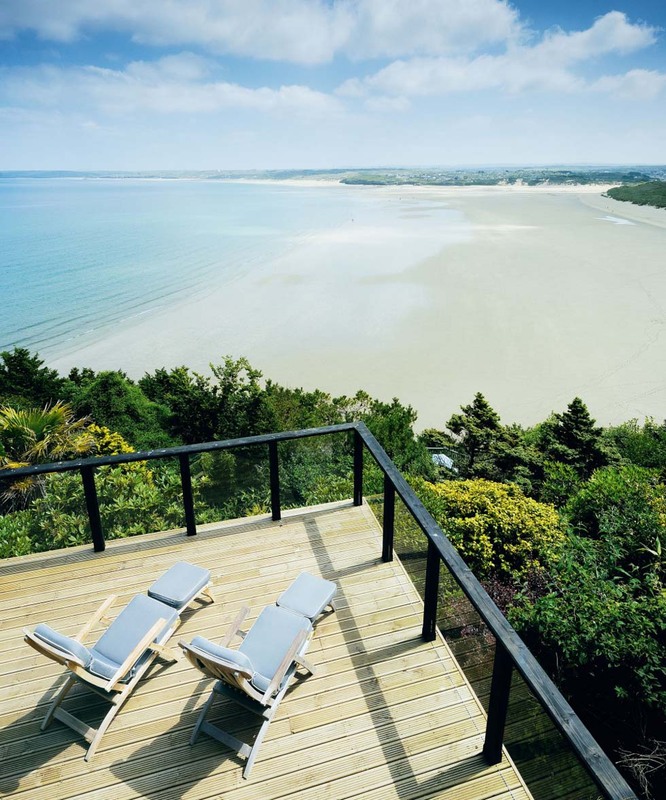 The Chalet is let by cornishgems.com.